In March of 1971 the IRA was responsible for the death of three off-duty British soldiers. They were lured out of a Belfast bar into a rural area and shot. The impact of their deaths is identified by many as one of the “key points in Northern Ireland’s descent into full-scale violence.”8 As the soldiers were buried in Scotland, 4,000 shipyard workers marched in Belfast demanding internment. In response, Chichester-Clark went to London to ask prime minister, Edward Heath, for more security. Heath however, only offered extra troops prompting Chichester-Clark's resignation. 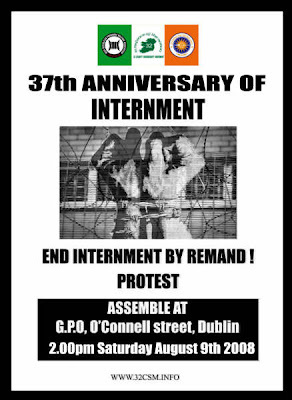 Internment was implemented according to the Special Powers Act in December 1971 when the Northern Ireland Government asked London if plans could be drawn up to use HM Maze also known as the H blocks for detention. The HM Maze is a prison used during the Northern Ireland Troubles from roughly 1971 to 2000. It was in the Royal Air Force station at Long Kesh near Lisburn, nine miles outside of Belfast.15 By 1972 over 920 men were interned none of which were loyalists. Outraged began to be expressed at the fact that not a single loyalist had been interned so in February of 1973, in an effort to appear balanced two loyalists were interned, sparking off a violent one-day loyalist strike. However out of the 1981 men interned throughout the Troubles only 107 were loyalists showing a definite prejudice against republicans. The camp, Long Kesh, near Belfast was one of the worst. It was a decommissioned airfield with rusty Nissen huts and barbed wire surrounding the internment area. Faulkner received heavy criticism for such conditions—they were so bad in fact they prompted interned Loyalists and Republicans to band together to fight for the status of “political prisoner” which would give them the rights to their own clothes, increased visits and more letters from the outside. 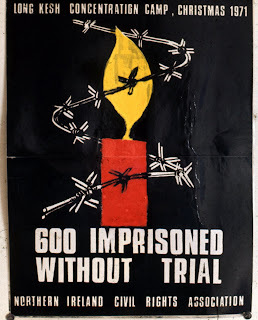 Although internment officially ended in 1975, political tensions were still high around the topic especially because of the new criminalization policy. In an effort to regain their rights the internees’ protested for political status by refusing to wear the prison uniforms and refusing to eat. This protest is now commonly known as the Hunger Strike. 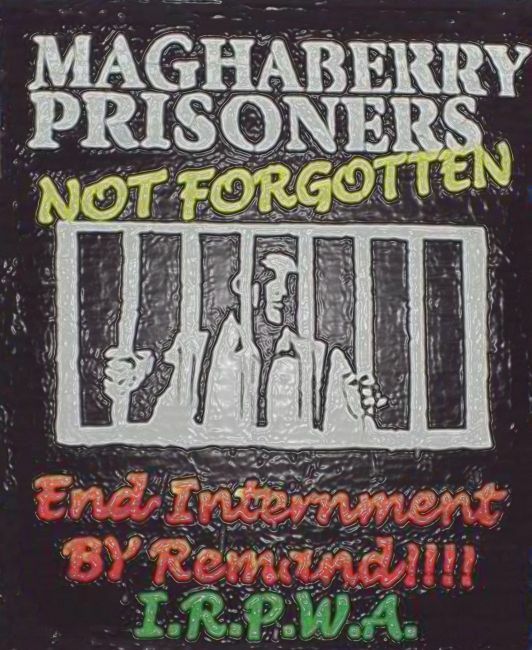 The psychological effects of internment on the Irish prisoners has yet to be studied in depth. Those who were interned or were found guilty of crimes related to the Troubles were often held in high regard within the community. A representative at a community reconciliation group, (a group offering educational workshops in conflict resolution, responses to violence, and personal growth in Belfast) stated that one child, when asked what he wanted to be when he grew up, answered "an ex-prisoner." However, even those in these positions of power within the community do not ofter seek psychological help for a variety of reasons. It is groups like this which push for community reconciliation who are beginning to give an outlet through volunteer opportunities and voices to those who have experienced violence as a way of squashing new violent uprisings within the communities.